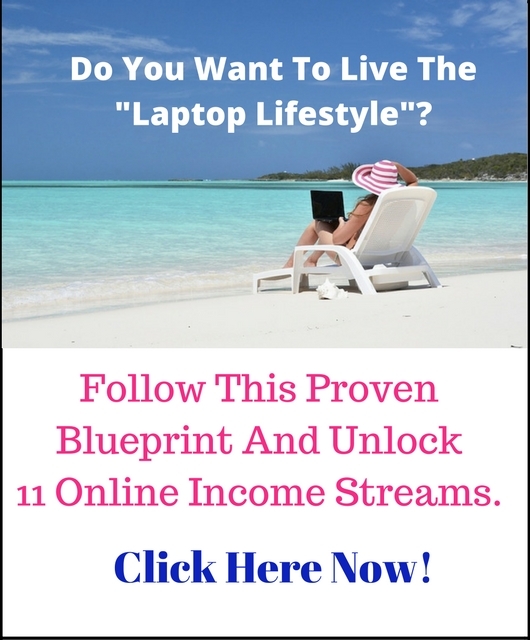 Are you looking for a way to generate an income online? Then affiliate marketing is probably the fastest and easiest way for you to get started. Affiliate marketing basically means that you’re a “commissioned salesperson”. But instead of personal one-on-one selling, you promote and sell other company’s or people’s products and / or services online. Affiliate Marketing is to promote and sell other company’s or people’s products online. When you sign up as an affiliate, you get a special tracking code that you add to the product’s website link you promote. And when someone buys a product from a website link with your tracking code, the sale is tracked back to you and you earn a commission on that sale. The commission you earn is usually a % of the product’s sales price. There are 2 ways to promote and sell online, one is free advertising and one is paid advertising. As an affiliate marketer, all you need to do is to promote and sell products! It can be physical products (e.g. skin care products, nutritional supplements, electronics, furniture), it can be memberships and services (e.g. hotel and flight bookings, coaching sessions), and it can also be information or digital products (such as e-books, online courses etc). 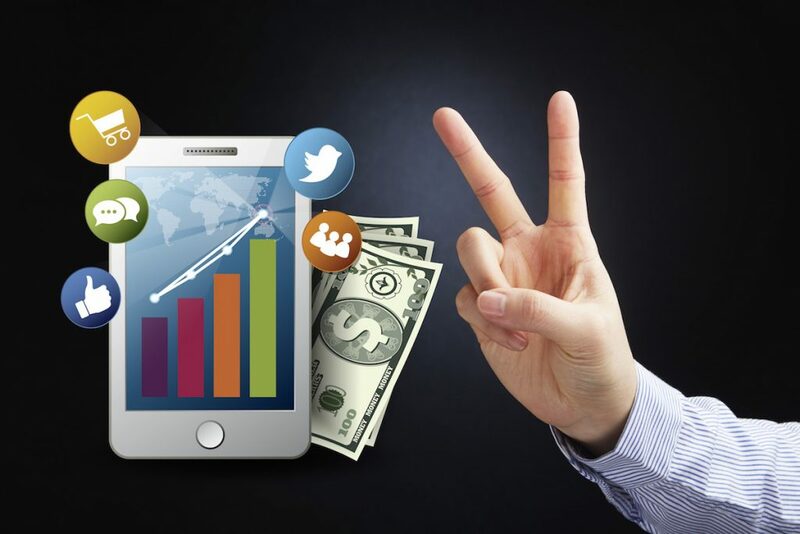 To promote and sell online, you can use free advertising and paid advertising. Free advertising strategies are e.g. using social media, article marketing, blogging, video marketing (YouTube, Facebook Live), and podcasts. Paid advertising strategies are e.g. pay per click ads (on Facebook, Bing, YouTube), banner ads, solo ads and PPV (pay per view). Most affiliate marketers use a mix of free and paid advertising. If you don’t have a clue what niche you want to choose, it’s always a good idea to start with a niche you’re passionate about, and that you have a good knowledge of. If you’ll decide to use content marketing (e.g. blogging) as a strategy to get visitors to your affiliate offers, then it’s a huge advantage to have a knowledge of your niche and the products beforehand – it will make the writing process and content creation much easier and faster – and it will be more fun! Another important factor is to make sure that the niche you choose is profitable. An easy way to know if a niche is profitable or not, is to see how much competition there is. If there are many affiliate offers online in a certain niche (e.g. weight loss) it’s most likely a profitable niche. The niche you choose must also have a specific need or a problem that your affiliate product is the perfect solution for, or a desire for something your product can help them achieve. Finally, there must of course be affiliate programs available for the niche you choose. There are literally hundreds if not thousands of affiliate programs to choose from. As a beginner it is probably best to start off with one of the more well known companies. Some of these are Amazon, Clickbank, CJ Network and Rakuten Marketing. How often do they pay out commissions? Is there an earnings cap before they pay out commissions? For how long are cookies stored by them, so that the sales are tracked back to you? The products and / or services you choose to promote should also be of good quality. Otherwise you don’t want to be associated with them. If possible, buy the product yourself and test it/ use it. It’s much easier to promote something you have tried and experienced yourself, and are fully satisfied with. If you don’t have a blog or website yet, it’s time to build one. It’s very easy to buy a domain name and set up a simple blog or website with WordPress. You can also outsource this for a small amount to someone on fiverr.com or upwork.com. When your website is ready, it’s time to create and publish content. The content you create must be relevant to your niche, and it must also be useful, interesting and engaging to your target audience. Think about what questions, problems and desires your target audience has, and create headlines and content around this. Another common strategy is to write reviews about products and services, with your affiliate links inside. The only valuable assets you have and can control as an affiliate marketer, is your own blog (website) and your own list of leads and customers. As an affiliate, you normally don’t have any direct contact with the prospects and customers. However, a sneaky way to get them on YOUR list is to create and offer a free giveaway (a lead magnet) on your website. If your website visitors want to get access to the give away, they must give you at least their email address – and perhaps also their name (optional). So why would you want to do this “extra” work and create a give away? Like I mentioned before, a list of leads and customers is one the most important assets for an affiliate marketer – probably the MOST important one. Usually in the internet marketing world, one email address is approx. equivalent to $1 per month. So if you have an email list of 500 people, you should make approx. $500 per month, if you have a list of 1.000, you should make approx. $1.000 per month. This is just a rough estimate, a list subscriber can be worth less than or more than $1. This depends on the quality of the list and the relationship you have with your list. Then what should your give away be about? Ideally, it should be about a topic your audience REALLY wants to know and learn more about, so that they enter their email address and request it without even thinking twice about it. The format of a give away can be a pdf report, a video (or a series of videos), a podcast etc. Once you start creating excellent content, you will continuously grow your target audience. And with an interested audience you’ll also make sales, because they want and need what you promote. Social Media: Social Media (Facebook, Twitter, Pinterest, Instagram etc, including video, Facebook Live, YouTube and so on) is probably the best way to build a relationship and engage with your audience. Simply share your blog content on Social Media channels, and share other relevant and interesting articles, quotes, videos and images as well. Be consistent. Write guest posts on high-traffic blogs in your niche: This is an easy way to get in front of a big audience in your niche, and it will also lead to more traffic back to your website. Use keywords and basic SEO: Do some research on relevant keywords and use them in your content. This will enable people to find your content when searching on the Internet. Don’t spend too much time on SEO – because Google’s algorithm can change from one day to another and then all your efforts may be useless. You should however learn and implement the basic on-page and off-page SEO guidelines to increase the possibilities that your website and content will be found and ranked high on the search engines (= free traffic). You can promote your offers in a number of ways. The best way to do it depends on your niche, your product, your target audience and also what marketing strategy you prefer. For example, if your target audience is young, let’s say 18-25 years old, then you may be more successful using Instagram and videos. If your target audience is middle aged and your product is business related, you may be more successful using LinkedIn and Twitter. Do some research to learn where your target audience hang out online. Social Media: You can promote on Social Media channels, but here’s a word of caution: Never SPAM your affiliate links on Social Media! If you do that, your account will most likely be suspended. Instead, write relevant, interesting and valuable content for your niche, or write a product review. Then inside this content or product review you add your affiliate link to the product you promote. 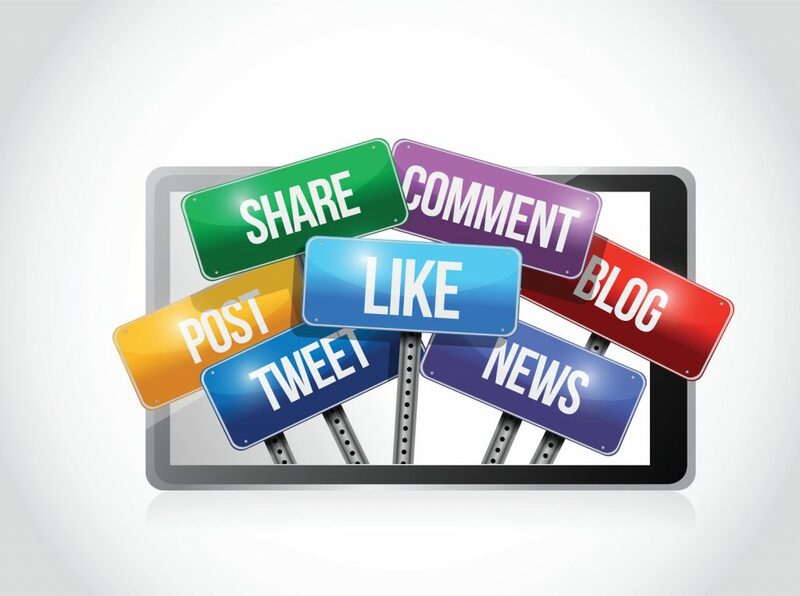 On your Social Media channels, give your audience the link to your content – NOT your affiliate link! Product reviews: Product reviews are a pretty common way for affiliates to reach their target audience. Remember though that you’ll win in the long run if you’re honest in your reviews. Paid advertising: You can use paid advertising to generate more traffic to your website and to get more sales. Facebook ads are an easy way to get started. Banner ads: You can put banner ads on your site and side bar, you can also purchase a space for a banner ad on relevant niche sites with lots of traffic. Most affiliate programs provide you with their own creatives you can use. In-text content links: This is an easy and common way. You just add your affiliate links, inside your blog posts, sales pages and articles. Discounts and give aways: Many affiliate programs run promotions with good discounts and giveaways, e.g. in connection with a product launch or a holiday. These occasions are great to take advantage of. Email and promote to your list: As already mentioned, an email list of good quality is crucial to have for every affiliate marketer. Start building – and keep building – your email list with free giveaways (lead magnets), share tips and valuable information with them – and now and then recommend and promote products to them. Solo ads: Solo ads can be very lucrative and can help you build an email list fast. What you do is that you “rent” someone else’s email list in your niche. The owner of the list sends out an email to his/ her list, with an ad (swipe copy) about your product with an affiliate link included. Be careful when selecting a Solo ad provider though. Please also note: When promoting affiliate offers, make sure you read the terms and conditions of the traffic source you’re using (Facebook’s marketing policy, Google’s policy etc) and also the marketing policies of your affiliate program. Some affiliate programs have strict rules on how you’re allowed to promote their products on the internet, some will not allow you to mention the company name or product names in paid ads etc. Your goal is to build up a website and an audience to a point where it can make you a consistent income. Be prepared that this is not done overnight! It takes consistency and work discipline to constantly create valuable content (articles, blog posts, social media posts, videos etc) and to promote and market this actively to sell products online. Pick a niche and follow these 7 steps! So now you’re good to go as an affiliate marketer! Pick a niche and then follow the steps outlined in this post. Please share in the comment section below what niche you want to start with and why, I’d love to hear it! 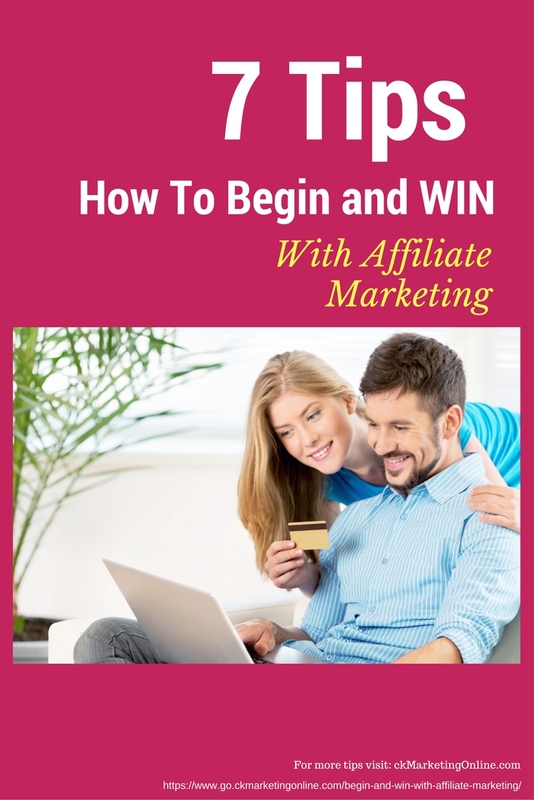 And if you’d like to learn more about affiliate marketing and how to sell online SUCCESSFULLY by creating sales funnels, offering front-end and back-end products etc, I highly recommend you to check out this affiliate marketing system. 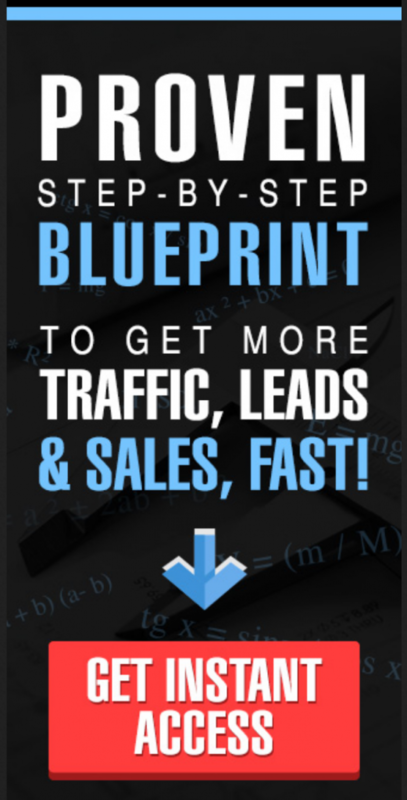 It’s a proven training and marketing system you can tap into as an affiliate, where list building and sales funnels are already built for you. Even the email follow-up with leads and customers is “done-for-you”. This system has helped thousands of online entrepreneurs to breakthrough faster and make sales online. Moreover, it allows you to earn high ticket commissions and residual income. For any questions you may have – get back to me and I’ll be happy to answer them! Please LIKE and SHARE if you found value in this article. To get lots of quality traffic to your offers online FAST, you want to use paid marketing. The easiest and fastest traffic sources to use, in my experience, are Facebook PPC (pay-per-click) ads and Solo Ads. But before you get started with it, it’s smart to invest some time (and money) to learn how to do it “the right way” – or it might be very expensive and you may not get the results you want. 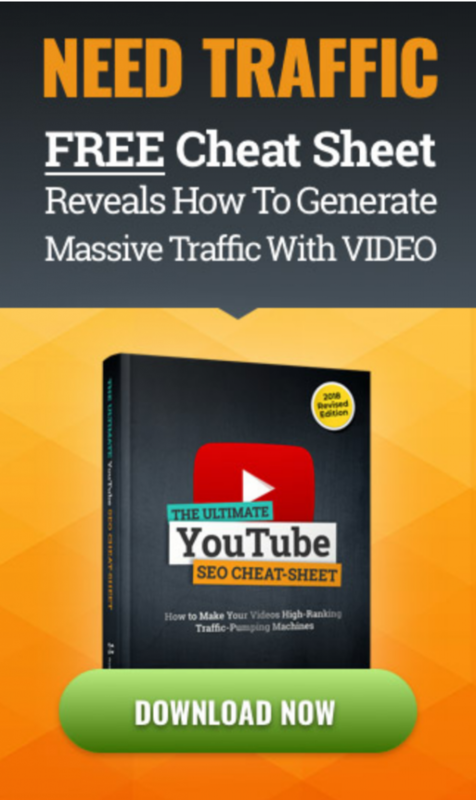 Video Marketing is another way you can get lots of traffic fast, and it’s free! You “pay” with your time making the videos. This is a video marketing system that is super EASY to use. You can produce beautiful and professionally looking videos in no time. You don’t even have to film yourself if you don’t want to, you can just enter text and the system formats video slides for you automatically. You can then edit the slides with pictures, bold text, different colors and backgrounds etc. Free templates, with examples, how to write attention grabbing headlines. You can use them for creating your Facebook ads, Solo ads, Blog Post titles, Video titles, Social Media Posts, Email follow-ups etc. A FREE guide how to create perfect lead magnets to attract your target audience – to convert more leads and grow your list starting today. Do you REALLY want to get profitable and breakthrough online?